Packaging Details As Per Buyer Request. We Craftstages International Pvt. Ltd. established in the year 2005 are engaged in manufacturing, exporting and supplying of Ladies Bags and Clutches. 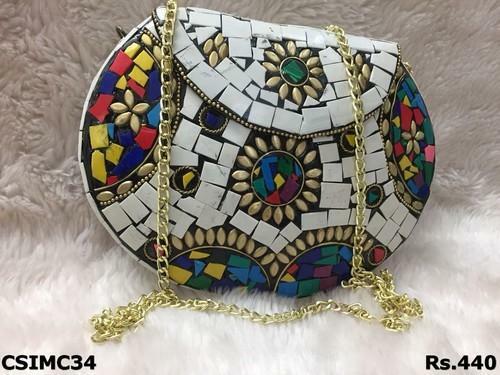 Our offered range includes Box Clutches, Ethnic Bags And Clutches, Ethnic Traditional Potli/Batwa Bags, Digital Print Bags And Clutches, , Designer Handbags and many more. The Complete Portfolio of the Products is a tasteful expression of personal style created by the Master Craftsmen.Original designs, innovative ideas and customer-oriented approach has been the major focus of us. The Company has state of the art designing and production facilities to meet the ever-growing demands of the burgeoning market.